We are plugging ahead with our Beverly Hills Spanish Renovation (#clientbeverlyhillsspanish) and I’m on the hunt for the right outdoor sconces that will work with the Spanish architecture. You don’t realize how difficult it is to find the perfect statement lighting until you are looking. 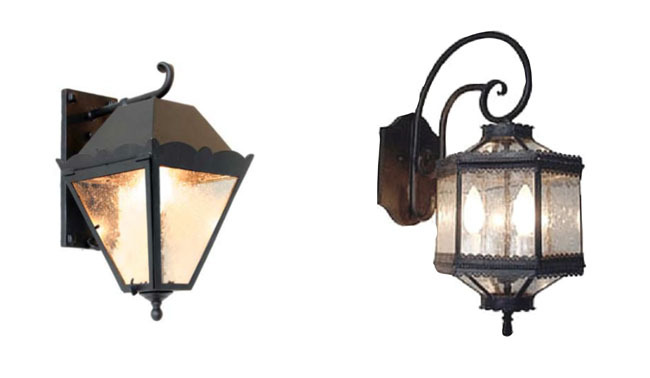 Exterior lighting is a bit like jewelry on a home – it can really make or break the look. Beautiful lighting can make a simple home unique and interesting while the wrong lighting fixtures can ruin the look of even the prettiest house. While I love and appreciate Spanish Colonial Revival architecture my style tends to bring an updated twist to historical styles so I tend to shy away from anything too ornate or too heavy feeling. I like these fixtures by Steven Handelman Studios because they feel really Spanish without being over the top. You can find them here and here. The clean lines of a classic lantern can work with many styles of architecture – Traditional, Spanish, Craftsman, Cape Cod, etc. I like the elegant shape of these lanterns by Circa and Steven Handelman Studios. You can find them here and here. A vintage light fixture can add a sense of age and place, especially to a new house. Sometimes it’s hard to find more than a pair of matching fixtures but you can always mix them in strategically, like use your vintage sconces next to the front door and mix in simple or complimentary lighting elsewhere. You can find them here and here. 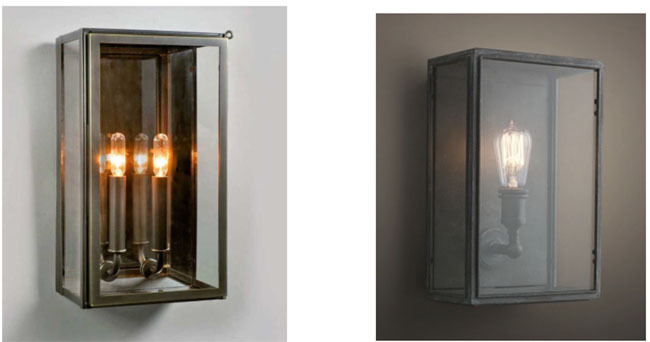 These modern/industrial sconces could also work well if you’re going for a modern take on Spanish. I like the clean rectangular shape and the filament light bulb. You can find them here and here. I really like the ideas of the classic look on modern homes. 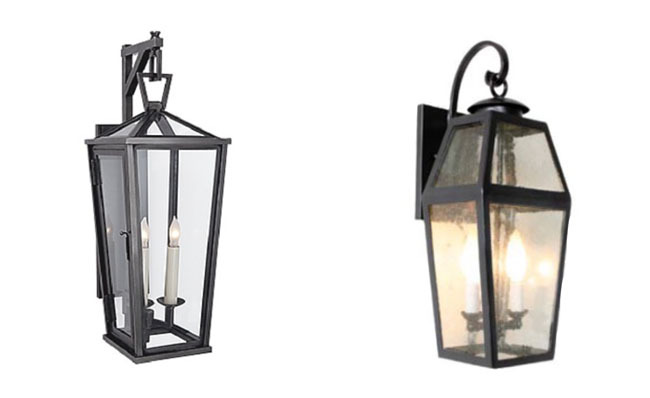 My wife is looking to get a little more lighting on the outside of our house and we think that lanterns like these could be an option for us. I will have to look at more options to see what we like best, but I really enjoy these options here. Woah! I’m really loving the template/theme of this website. It’s simple, yet effective. A lot of times it’s very hard to get that “perfect balance” between usability and appearance. I must say that you’ve done a awesome job with this. Also, the blog loads extremely fast for me on Safari. Outstanding Blog!